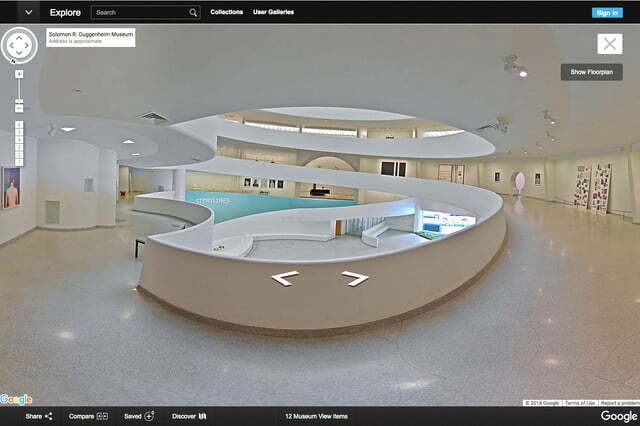 Frank Lloyd Wright’s architectural masterpiece may be a fixture on New York City’s famed Museum Mile, but now, even if you’re not a Manhattanite, you can explore the Guggenheim anytime you want. 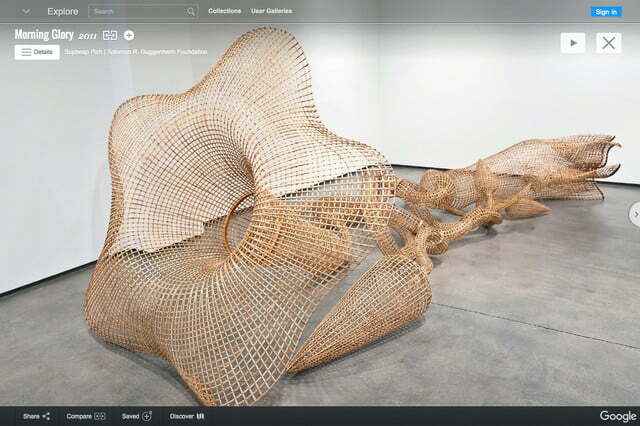 Google, which seems to be on a mission to take us literally anywhere in the world without ever asking us to lift a finger (well, never lifting a foot), has added the iconic museum to its Cultural Institute, which already includes historic, artistic, and cultural gems from around the world. 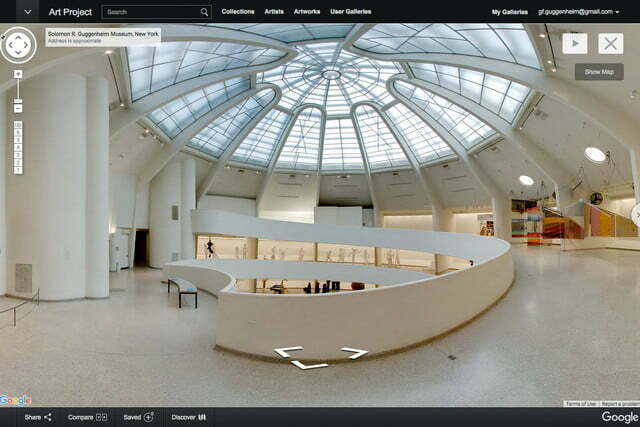 Art enthusiasts everywhere can now tour the Guggenheim with Google’s Street View technology, reimagined for the use of museum hopping. 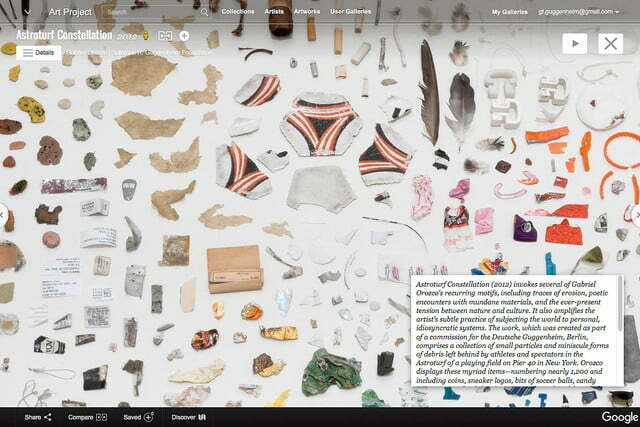 Over 120 pieces from the museum’s impressive collection are now available for online viewing, and both the No Country: Contemporary Art For South and Southeast Asia exhibit displayed in 2013, as well as works from last year’s Storylines: Contemporary Art at the Guggenheim, can now be found on the Institute. 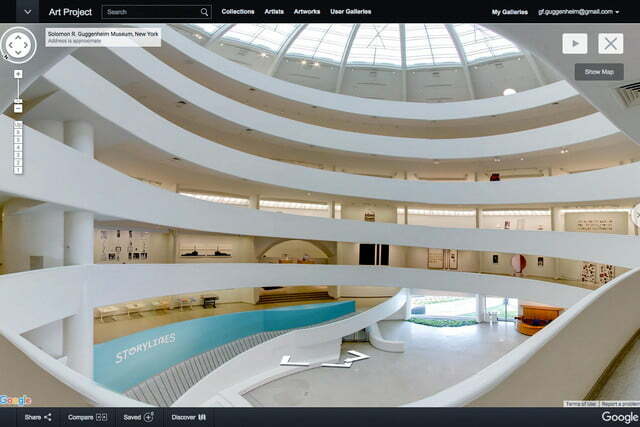 And while some online collections seem to stagnate over time, such will not be the case for the ever-changing Guggenheim. The dynamism of the museum will be reflected within its digital presence, as well — later in 2016, contemporary artworks from Latin America, the Middle East, and North Africa will also be added, allowing for more than 100 living artists to be fully represented on the Guggenheim’s Cultural Institute site. Much of the impressive online display was created using drone, tripod, and Street View “trolly” images, that were ultimately compiled to create a 360-degree viewing experience. Not only will you be able to view the art in great detail, but you’ll also be able to “explore” the stunning interior of the museum, with its famous rotunda and winding stairs. Already, the impressive Cultural Institute has brought the often-antiquated world of art into the 21st century, taking viewers behind the scenes in ballets, philharmonics, and of course, museums. With partnerships spanning across 1,000 some organizations and institutions, the Institute has amassed a collection of some 6 million photos, videos, manuscripts, and other documents of art, culture, and history. 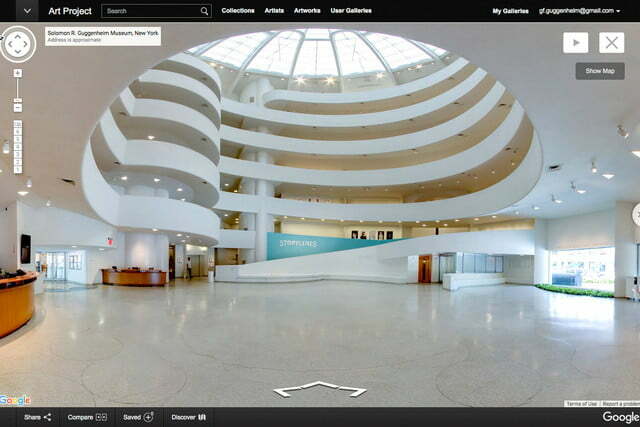 And now, the Guggenheim is joining the party.